Australian Property Prices : To buy or not to buy, that’s the questions! The recent article on ABC news has provoked some question and shaking the confidence even amongst savvy investors. I am not an economist, but as a financial adviser/wealth coach, I was asked to share my opinion on this article. Please note this is my views only and it should not be considered a piece of financial advice as everyone personal circumstances are unique and need to be addressed based on their individual risk profile. Property prices are determined by the fundamental rule of the economy which is demand & supply. The main reason for property price fall is when it's forced to sell. Selling could be as a result of a deceased estate sale, divorce settlement or not able to pay the bills due to job loss, illness or long vacancy of investment property which is more for mining towns or regional areas. 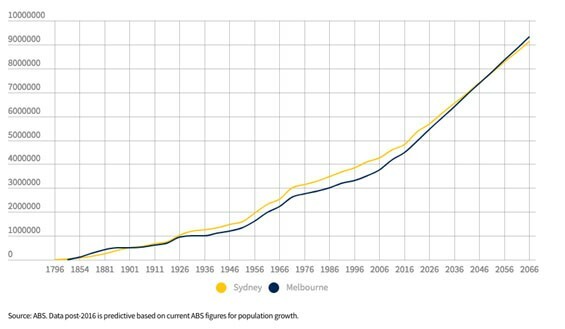 The high number of foreign and interstate migration in Australia to Sydney and Melbourne increased the population of these two main cities and attracted more people for employment reason. Shelter and food are the basic human needs. The high number of unit development approval resulted in too many off the plan apartments to supply in the short term. During this time the lending policy and foreign lending changed drastically which resulted in the decline of the loans. For a quick sale, developer dropped their price to wrap the project and move on, but once the amount is reduced, it will set a new reference on valuation and affect the similar properties in surrounding areas or in the developments. 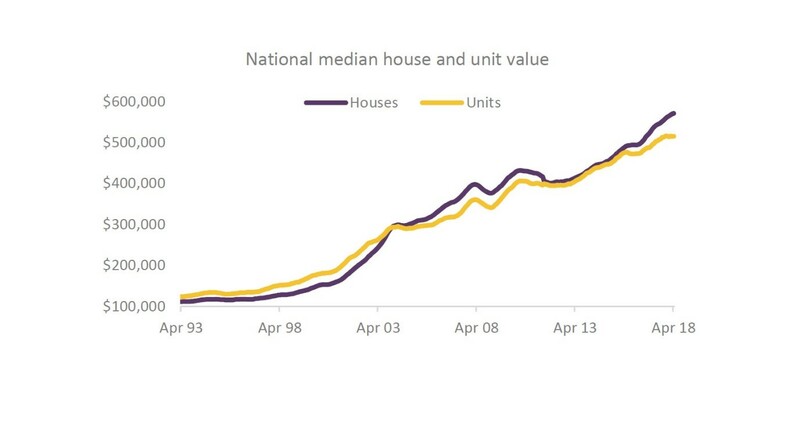 Looking at the following chart from Core Logic, it clearly shows that Australia has a healthy property rise for the last 25 years. As previously stated, Australia is a vast country and even though the taxation and financial institution are governed by the federal government, but the state government has a say on different rules for migration, roads, schools and state matters which can create a different environment to attract short term and long-term migration to the states. Following the demand & supply again, the property prices and rental will vary as population changes. Sydney and Melbourne had an overflow of migration and high attention from foreign investors, but like any other assets which cannot rise forever, there will be a short time to correct the market and shakes off the heart fainted investors or greedy investors to prepare for next rise. The main question remains, should we buy or sell?! The answer is: It DEPENDS! I know it sounds cliché, but it indeed depends on the reason behind purchase or sale, this market will bring back the first home buyer to market as they seem to have more confidence to buy, but at the same time, the savvy investor will keep their eyes open for a good deal. 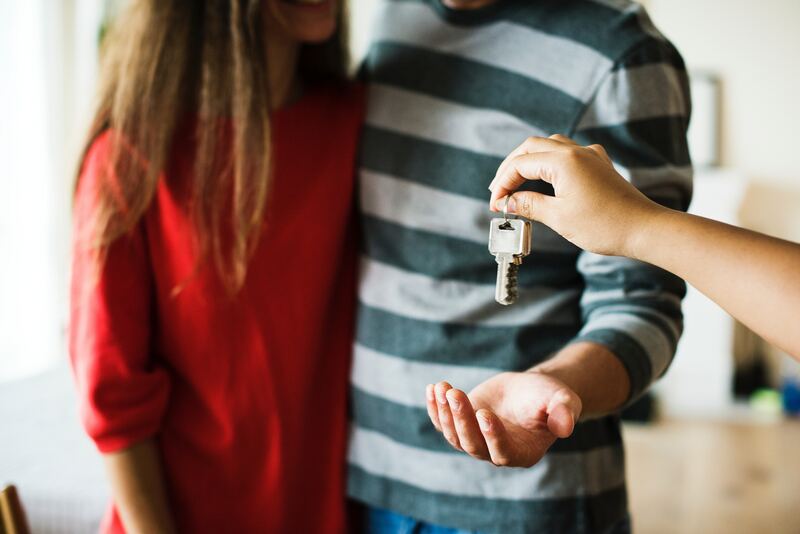 Looking at current lending criteria’s if a person becomes too greedy to see the further fall in the property market, they may not be able to borrow for their purchase. The discussion of selling vs buying is the outside scoop of any article and needs to be addressed based on your personal circumstances. 4- Get your loan pre-approval ready. Banks can change their lending appetite without any notice so make sure you are in the safe zone. Please feel free to contact us if you want to learn more…. Assurance Finance and Business Solutions Pty Ltd.